Who was the man with the knife, really? 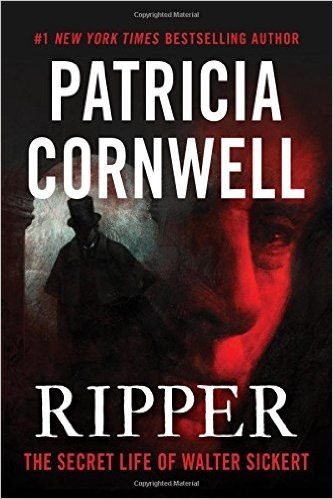 Patricia Cornwell has said in this book that it is a rewrite of her previous book Portrait of a Killer: Jack the Ripper—Case Closed. This doesn’t mean that she has backed off of her certainty of Sickert as Jack the Ripper at all. She is still using some of the best forensic investigations to endeavor to prove her point. She is still doing her best to uncover evidence that could put this mystery to bed once and for all. But in this volume, she explores the reasons that this may prove impossible. Evidence has been misplaced or discarded. DNA evidence has degraded, making a match difficult. Then there is the fact that Sickert was cremated after his demise. There is simply no way to prove guilt beyond a reasonable doubt. She has managed to connect letters written by Sickert to letters signed Jack the Ripper. Watermarks are very solid evidence that the papers match and were from the same bundle. This would only prove that Sickert wrote some of the Ripper letters. Was this his way of giving the middle finger to the police, or was he just having a laugh at their expense? I was pleased to note the evidence that could tie the Ripper to more murders. The official report was five victims, ending with the gruesome dissection of Mary Kelly. Why was this so adamantly insisted upon by Scotland Yard, the Crown and the British Government? Murders in the same style—cut throat and mutilation—took place for several years afterwards. Even during the time of the canonical five there were more murders that were amazingly similar. I believe the order came to close the file because Jack the Ripper had made a mockery of Scotland Yard and Her Majesty’s Government. Rather than admit failure to arrest and execute the Ripper, a select few persons who were either dead or sagely locked up were put forth as prime suspects. Any further murders regardless of MO, were deemed to be someone else at work.